The MCAI decreased 0.4 percent month-over-month to 164.7 in August 2016. The Conforming MCAI saw the greatest decrease: 0.9 percent. The Government MCAI was down 0.5 percent, and the Conventional MCAI was down 0.2 percent. 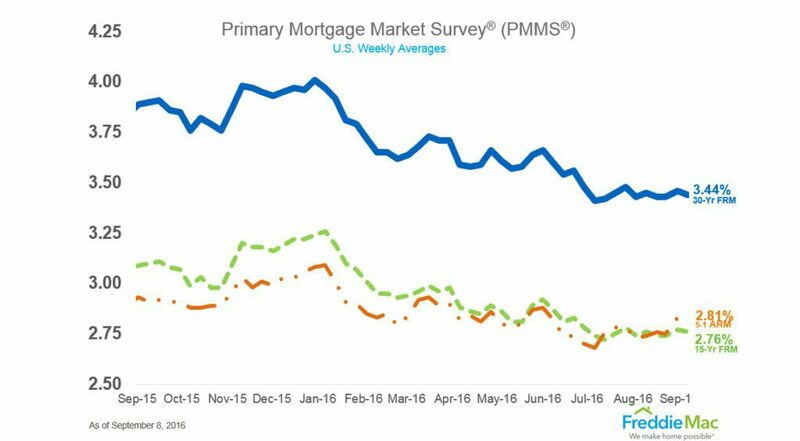 The 30-year fixed-rate mortgage averaged 3.44 percent with an average 0.6 point for the week ending September 8, 2016. This is down from last week, when it averaged 3.46 percent. The market composite index increased 0.9 percent on a seasonally adjusted basis from one week earlier. Unadjusted, the index decreased 0.1 percent week-over-week. 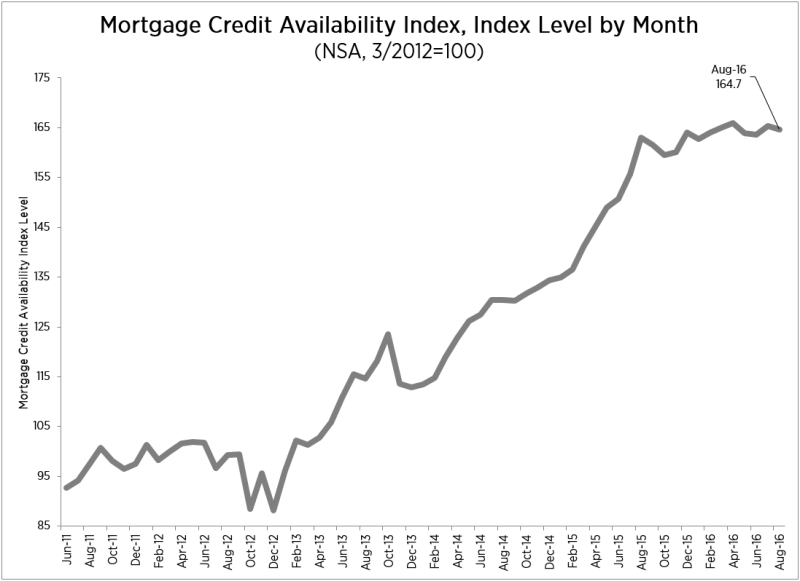 The refinance share of mortgage activity increased to 64.0 percent of total applications from 63.5 percent last week. The HPSI fell 1.5 points to 85.0 in August. Four of the six HPSI components decreased, including the share of consumers who expect prices to go up and the share who say it’s a good time to sell. More consumers reported a positive employment outlook, but fewer reported significantly higher household income.